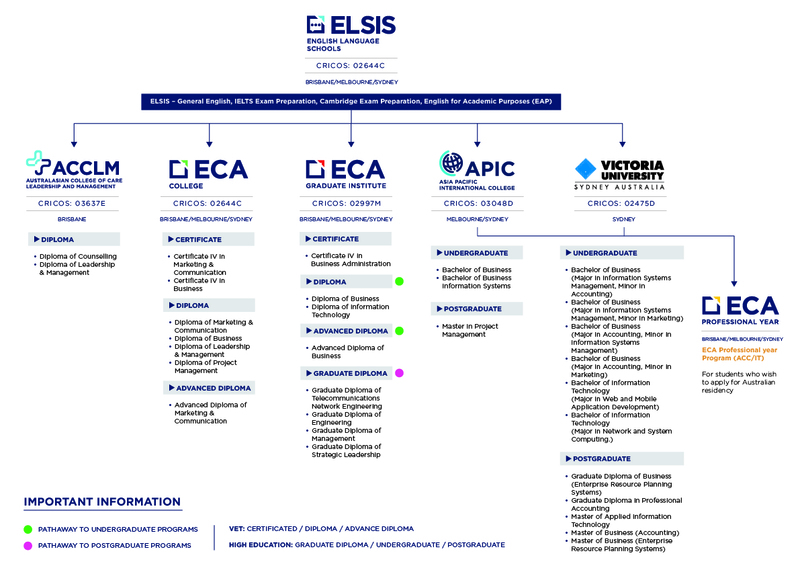 Welcome to ELSIS study pathways information. If you would like to further your studies after completing your course at ELSIS, there are many options available. 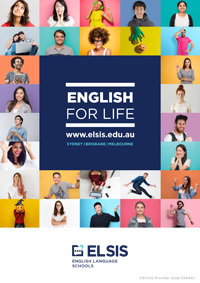 First, complete an IELTS, General English Upper Intermediate or an English for Academic Purposes (EAP) course. Second, a student must achieve the required grades to be eligible to study the courses outlined below. The diagram below shows the various pathways available through the Education Centre of Australia. ECA's pathway program provides the training and opportunity for students to move into higher education with VU Sydney and APIC. Or a vocational course with ACCLM, ECA College or EGI. We offer a way for students to fast-track their way into a career. We prepare our students for the real world with in-demand qualification, skills and experience. Through ECA's Professional Year program students can do an Internship. The PY Program allows students that study IT or Accounting to gain work experience in their field of study. If you would like to discuss your study plans in further detail with an educational consultant, please contact us.